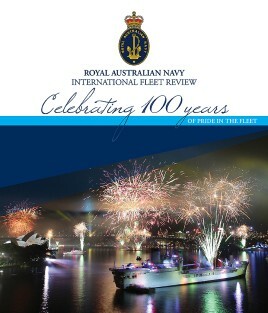 Celebrate 100 years of pride in the Fleet and discover the rich history of the Royal Australian Navy with this superbly designed and crafted full color book. The entry into Sydney Harbour of the Royal Australian Fleet on the 4th of October 1913 was an even of national significance and great achievement by the young Australian nation. Led by the flagship, the battle cruiser HMAS Australia, HMA Ships Melbourne, Sydney, Encounter, Warrego, Parramatta and Yarra were the pride of the nation and quickly proved themselves in war the next year. In October 2013, exactly 100 years later, the spotlight again shone on Sydney when over 8,000 naval personnel and dozens of warships from around the world conducted a fleet entry and ceremonial review. This book is and inspirational record, both past and present of the accomplishments of one of the world's leading Navies. This book captures and records the International Fleet Review, providing a spectacular photographic record of the celebrations. To compliment this is a brief history of the Navy's operations over the last 100 years as well as details on today's Fleet, Establishments and People. This magnificent book is available in both paperback or limited edition boxed hardback.